Students at the University of Rhode Island helped raise more than $13,000 towards cancer research on Monday by shaving their heads in support of children with cancer. The second annual Brave the Shave event was put on by students and the St. Baldrick’s Foundation at the Memorial Union. The St. Baldrick’s Foundation officially emerged as a foundation in 2004, though they began shaving heads to fundraise for childhood cancer research back in 2000. Since 2005, St. Baldrick’s has raised over $200 million for research grant funding. Sophomore Vincent Evola, who helped to organize the event, said participants were able to shave their heads, cut up to at least 8 inches of hair or get green hair extensions in support of the cause. It’s an event not only raising money, but it also helped raise awareness for children with cancer. If you plan on growing your hair out make sure to get the Best Men’s Grooming Kit to help take care of it while it grows. Roughly 150 people attended the event last year in comparison to this year’s 130. 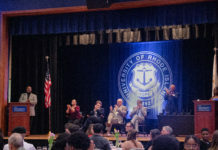 Participants were either shaving their heads, getting extensions or donating, and came from an array of different groups on campus – from fraternities to the URI Emergency Medical Services. Junior Michael Aidui attended the event with his fraternity to have his head shaved. He said the event was a good thing to have on campus since it helps raise awareness for those with childhood cancer. 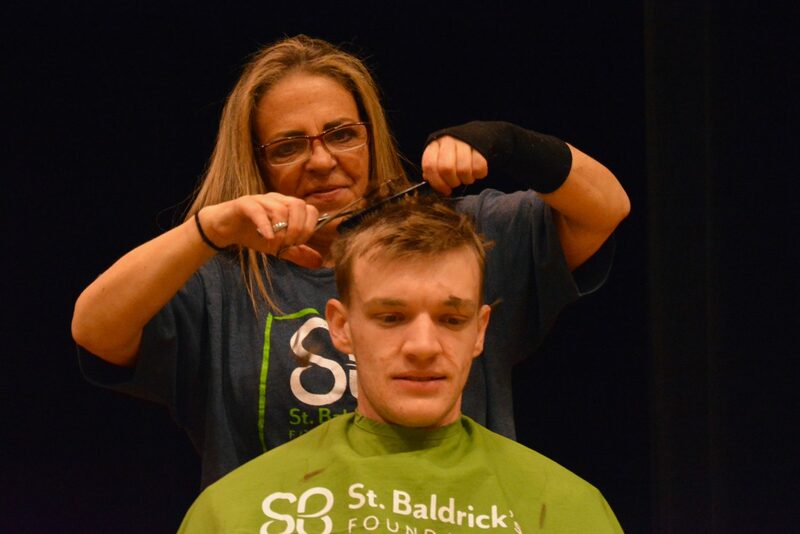 Evola has been participating in St. Baldrick’s events since the sixth grade, which is part of the reason he was so passionate about bringing it back to campus. “I thought it would be a great experience to share with the rest of campus and to really make a difference here,” he said. Evola feels a personal connection to the cause because his aunt had kidney cancer when she was younger. Dan McDonagh, a sophomore marine affairs major, also helped to run the event. Like Evola, McDonagh has been involved with St. Baldrick’s from a young age. Last year he participated as a shavee but this year he helped run the event itself in addition to shaving his head again. He he got involved because it’s a great cause. McDonagh added that having the event on campus brings awareness because some people don’t realize how big of an effect childhood cancer has and how many people are affected by it. So far, URI has raised $13,227 out of a $20,000 goal. To learn more about the event that took place at URI, to donate or to look for other events like it visit: www.stbaldricks.org/events/rhodeisland.